Forest Garden 4 x 6 Overlap Dip Treated Apex Shed: This Forest Garden Overlap Apex Shed is just the right size to house those garden essentials such as tools and smaller equipment and even garden furniture. The ridge height of 2m grants you easy access in and out of the shed without banging your head and offers you ample room to manoeuvre. 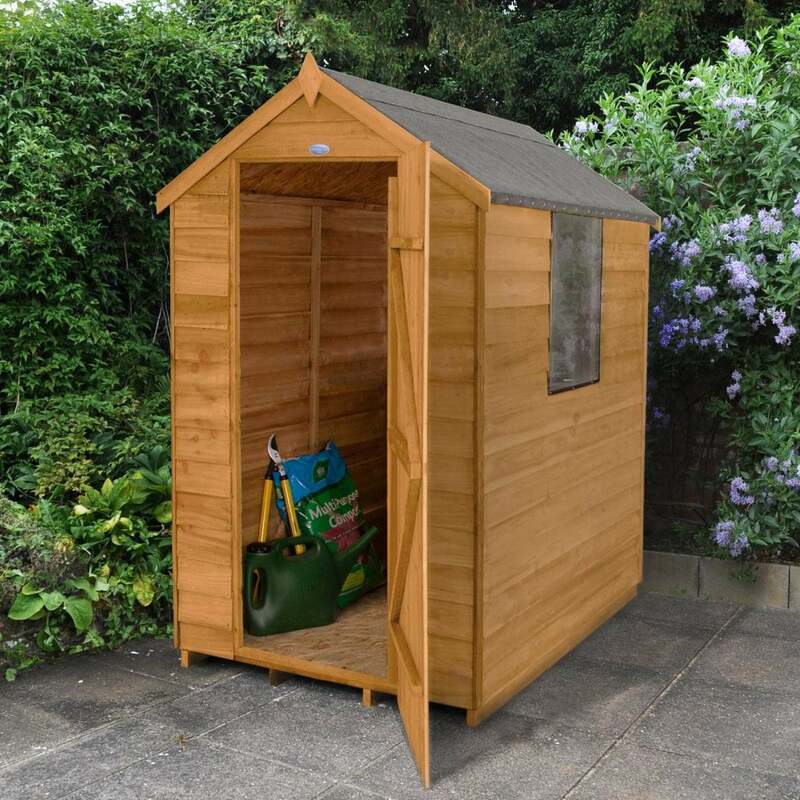 Sheds are a brilliant piece of storage to have in your garden to house garden tools, accessories and the lawnmower and will keep your garden looking neat and tidy. The Forest Garden Overlap Apex Shed has a traditional apex roof and will look great as a standalone feature in your garden. This will depend on your personal choice, location of the shed and the purpose of the shed. The one window is made from an unbreakable polycarbonate glazing and the shed has a strong double braced door with hasp and staple latch lock for added security. The floor and roof has been produced with durable sheet material and the shed comes with a waterproof felt covering. The Forest Garden Overlap Apex Shed has a smooth planed finial and barge boards to complete the stylish look.